Commemorating the 100th anniversary of the Armenian Genocide, The Pro Arte Chamber Orchestra of Boston opened its 38th season at the First Baptist Church in Newton Centre on Saturday with “Surviving & Thriving” featuring Alan Hovhaness’s Prayer of St. Gregory, Op. 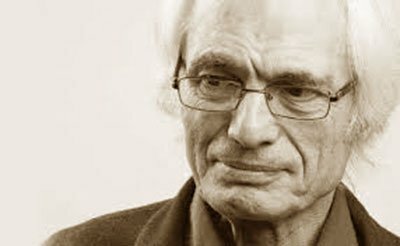 62b, for Trumpet and Strings; the East Coast premiere of Armenian composer Tigran Mansurian’s Concerto for Violin, Violoncello & String Orchestra with Ruggero Allifranchini, violin and Suren Bagratuni, violoncello; and Beethoven’s third symphony. Under the direction of principal conductor Kevin Rhodes, the performance was outstanding. Hovhaness (1911 – 2000), who was born in Boston of Armenian and Scottish parentage, found inspiration in the music of his father’s homeland. The composer wrote his Prayer of St. Gregory originally as an intermezzo for a 1946 opera about the life of St. Gregory the illuminator, who brought Christianity to Armenia in the early fourth century. The work represents the supplication of St. Gregory during his 12 year imprisonment. Despite the small size of the string section, the sound was rich, heartfelt and personal. Trumpet soloist Dana Russian produced pure silver, clean tone, warm and beautiful as it wove in and out of the string choir. A local arts presenter and the Armenian Ambassador to the United States then led a discussion about the significance of the Armenian genocide as the first of unfortunately many mass murders in the 20th century before the orchestra continued with Mansurian’s (b. 1939) Concerto for Violin and Violoncello, written in 1978. In two movements, its language recalls Shostakovich, but thinner, with a lot of chromatic, scalar melodies and noise reminiscent of rock guitar feedback. Alternately, there were some glassy, chromatic chordal passages which still gave hints of folk melodic underpinning. Not easy listening, it was nevertheless played with great skill by Allifranchini and Bagratuni. It was obviously a very skilled performance, but it is not likely that this is music one would seek out for pure enjoyment. After intermission, Rhodes led a passionate, robust and fully committed acount of the Eroica Symphony which completely blew the dust off the score. The first movement had energy, forward movement, clarity, and bounce. The revolutionary harmonic wanderings of the development section sounded fresh and sharp and astonishing, just as they should. The second movement funeral march showed off the mournfully gorgeous oboe playing of Nancy Dimmock. The tragic fugal passages were drawn like taffy, interweaving with each other in spirals of melody. Beautifully done. In the third movement the horns were magnificent. They sounded like joyous hounds baying at the hunt. I’m not sure if they were playing period horns, but the sound was splendid and golden with nary a clam. The fourth movement, played very fast, had a Carl Stalling-like quality at the opening, and drove to the joyous conclusion of a fine evening of first-rate music making.